The TS 12X28 can run for up to 12 hours. Under extreme cold conditions. The fully multi-coated optics offer a high contrast, bright view. The phase-coated prisms give a sharp, high contrast image. Auto off functions automatically switch power off after 10 minutes, reducing unnecessary power consumption. 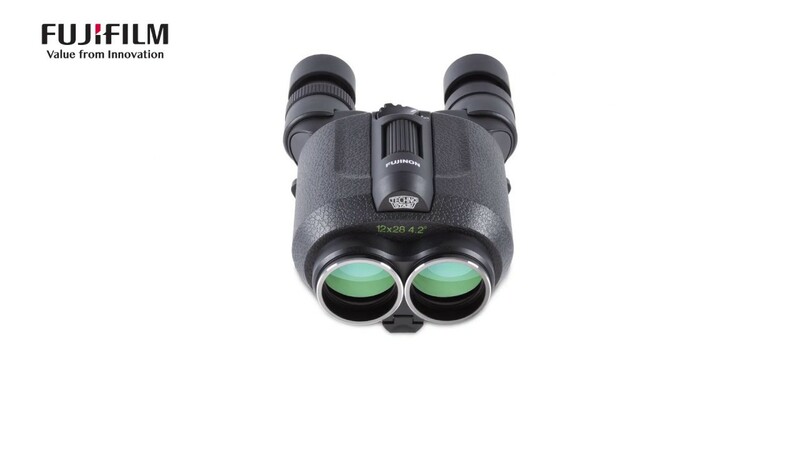 The FUJINON Techno-Stabi 12x28 binoculars are high powered and stabilized, which offers unique performance when used from moving vehicles, vessels at sea or stationary. The compact, lightweight and ergonomic design is ideal for nature watching, sports, concerts and astronomical use where the user may want to utilize a higher magnification (12x) without a tripod. These image stabilizing binoculars lock in on the subject to create a stabilized field of vision at 12x magnification. The TS 12X28 uses Optical Stabilized technologies to minimize the synergistic vibration that typically occurs just from holding the unit. The multi-coated optics allow for exceptional light transmission, which is great for low-light performance. Given the unit’s high stabilization, the user will get a stable image of virtually anything with the FUJINON Techno-Stabi 12X28.